I've gotten too many messages from colleagues that have the subject line "Do We Read The Same Books" and it encourages you to sign up for a social software called Shelfari. The "bacn" from this program was sent to a listserv, and it annoyed people on the list. The problem is that the Shelfari uses the "find a friend" feature to spam your friends without permission. So, don't install Shelfari or you will be apologizing to your friends. One would think that Shelfari would learn from Quechup's mistakes. 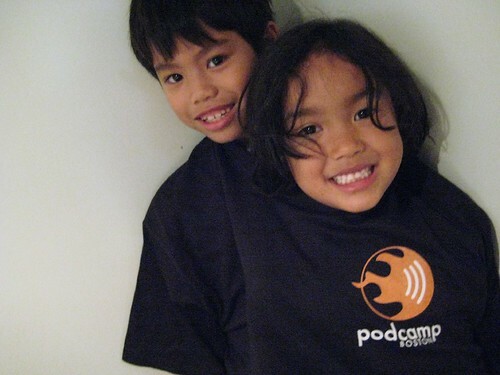 This weekend was Podcamp Boston 2. I attended Saturday, but just like podcamp Boston 1 last year, I learned an incredible amount and met some extraordinary people. Many thanks to organizers Chris Brogan and Chris Penn and all the people who worked hard to make it happen and especially the generous sponsors like Jeff Pulver. Right before he bolted to watch the Red Sox Game, I was chatting with Bryan Person at the Saturday evening party. 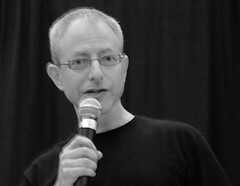 He observed that Podcamp 2 was a lot about relationship building versus skill building. 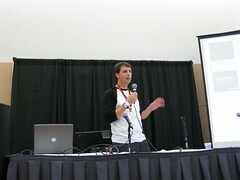 David Tames and I did a session called crash course on social media tools for filmmakers. I met Boston area documentary filmmakers including Marie Agui Carter , Rhonda Moskowitz and Cheryl from Women in Film and Video New England. Chris Brogan and David Eckoff gave a killer session about setting priorities and time management techniques. Chris reminded me of wisdom of Covey that I've forgotten and need to revisit. David Eckoff shared a story about his email addiction and how he kicked the habit and got his life under control. I'm going to try this: Put an auto responder on your email telling people that due to email volume and deadlines you only read and respond to email between 11-12 and 4-5 and if it is urgent to call you on your mobile phone. He said that in the first month of this experiment, he got two phones - one was really urgent and the other he had to give a lecture to the person about the definition of urgent. I gave the Social Media Metrics session. I was little nervous because I haven't presented on that topic and hope to develop it into a workshop session geared for nonprofits. I love taking a cross disciplinary perspective - education, nonprofit, and corporate. I got some good feedback and will post some reflections in a bit. But how about using Twitter as a feedback tool? 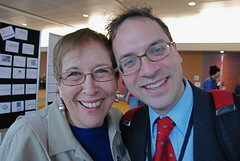 I bumped into Millie Garfield who shared some reflections about her "virtual" blogging friends. It was also great to see John Wall a second time this month! 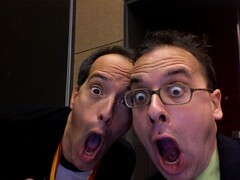 That's Jonny Goldstein and Steve Garfield imitating art. Jonny did a session on live streaming talk shows by doing a talk show. Steve was presenting at the same time I was, but I heard raves about his session from other people. Website grader - useful tool to search trends. Register your domain name for ten years straight. Indicator of trust to show that you will be there for a while is a good thing. Register an exact match domain name - which is the exact phrase people type into a search engine to find you. Google looks at it and thinks its value. Gogle trends - use it to determine what people are searching on. I was torn, I wanted to attend John Federico's session on downloadable metrics, but ended up at another session. Here's the slides. Some notes from Christopher Penn's session strategy: He presented a marketing funnel and goals in different profiles. Great way to think about all this: visitors, listeners, subscribers, and evangelists. He gave lots of strategy advice and tips for each segment. Jane Quigley is a sharp and smart marketer and savvy about all things social media. I love her writing about social media trends. She tagged me for media snackers meme that is traveling through the blogosphere. She introduced me to a utterz, a micro audio blogging tool. Connie Reece is another social media maven and writes a terrific blog on social media. I met her through Jane. Joyce Bettencourt is a talented print and digital designer who also is doing some incredible work in Second Life. Millie Garfield (who I've had the pleasure of meeting at BlogHer) and I had a great talk about our "virtual blogging" friends. Laura Athavale Fitton is a presentation coach and consultant. She did an excellent session on presenting skills. Casey McKinnon (with Rudy Jahchan) were at podcamp dressed in Halloween costumes. Casey posed for a photo. Melanie Van Orden is the Executive Director of Podcasters Against Genocide. We had lunch together and I got know more about her, including the fact that she is also does online marketing for musicians. Michelle Wolverton's card says "How can I help you save hours in your day?" She works as a virtual personal assistant. She was there because she helped with a lot of the organizational and logistical tasks to pull off podcamp. Well done Michelle! Elizabeth Dunn works for the Arts Foundation of Cape Cod, but she is also a nonprofit technology blogger. I love getting a chance to meet bloggers I've been following! Twitter, Chris Brogan and 81 other people take Campaign over goal by 100% and send TWO Cambodians Young people to college! Thank You! My fourth personal fundraising campaign started off with a modest goal - $1,000 to support Leng Sopharath, an orphan from Cambodia, for her junior year at college. The money goes to the Sharing Foundation which manages the program. This campaign took 24 hours, with 50% of the goal coming in during the last two hours and we went over goal! 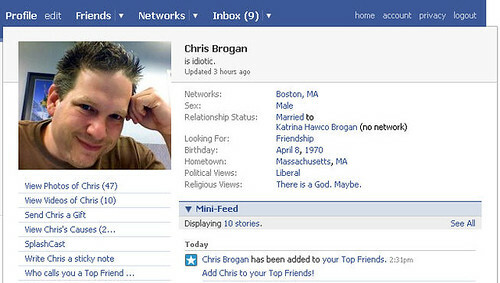 Chris Brogan blogged it and tweeted it ... talk about a social media metric for influence. Since we went over goal, and I have trouble saying now, I kept the campaign going because Champhearom's sponsor was not able to do it this year and I was hoping we could send him to college too. A few of my donors started to ask their friends via their blogs. I posted something on Facebook. But it wasn't until I started to tweet that we reached the goal! When I launched the campaign, I thought it would take longer. So, I told my network that I would write a personal blog post thank you and put the first responders in my top friends on Facebook. I will personally acknowledge every one of you with a personal thank you blog post over the next couple of weeks and link it back here. I'm also doing an analysis of our social connection and present some of those numbers shortly as well as anecdotal reflections. In the meantime, Nick Booth had a brilliant idea. He suggested that you each say congratulations to each other on your blogs! The Six Practices of High Impact Nonprofits ... That's the name of a new book out by Leslie Crutchfield and Heather McCleod Grant. They found that one quality that makes great nonprofits great is how they work beyond their four walls. I haven't read the book yet, but I did catch this interview on ABC with one of the authors and read the essay over at the Standford Social Innovation Review. This is interesting to me because in one of the sessions on Social Media strategy that I attended at podcamp by Christopher Penn, he characterized different audience profiles - the one at the top of the pyramid was called "Evangelists" -- people who will talk about your product, organizations, or services to others. He also shared some tips on how social media facilitates this. Now I'm curious to read the book (maybe I'll get a review copy) and look at how this research translates into social media tactics and how it might difference from this approach? Social Media Rubrics and Blogging Behind the Firewall: Options? A project that won’t take much time and relates to org goals. Ask the people you want to connect with whether they think your outreach and listening is valuable. If you are new to social media, in terms of the tools and technology or how to integrate them into your product release strategy, consider the following activities. 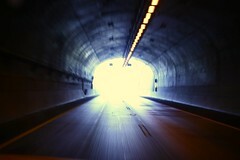 Sign up for a del.icio.us account. It’s a free social bookmarking service. As you release your product, find some interesting articles or blog posts on the Web and bookmark them. Because your prospects and customers typically search the Web for reviews and recommendations, you can help them save time by rounding up some of the more interesting ones. Even when the articles that you find aren't necessarily positive, you should bookmark those, too. Your customers will find them anyway (you did), and you'll earn their trust by presenting a different viewpoint. Furthermore, your R&D department will appreciate the fact you did some of their work for them. By using some of the tools that come with a del.icio.us account, you can even integrate those links directly into your Website. If you want to try some more intermediate or even advanced techniques for using social media, you can move from collecting third-party content to producing your own. There are two principal ways that you can do this. First, as part of your product release strategy, you can develop some video content. Because we know that customers and prospects are searching the Web for reviews and testimonials, you have a lot of in-house knowledge that you can tap and distribute on the Web. For example, as part of your product release strategy, you can interview some of the engineers and quality assurance personnel who ensure product quality or safety. Start with an inexpensive video camera and conduct some informal interviews. Ask them about your product and how their role at the company directly shaped the product that we see in the marketplace. What thing I'm wondering about is "blogging behind the firewall" -- staff use a blog as an knowledge capture/sharing project. What are the blog software options that offer password protection? Your thoughts? And, someone asked me where the notes from the Nonprofit Session were. Liz Henry took awesome notes here. Thank you Liz. Jane Quigley, who I met at Podcamp, tagged me for the Media Snack Meme. As Jane notes, this meme was started by Jeremiah Owyang and has included amazing viewpoints from Connie Reece, Connie Benson, Chris Brogan, among others. He asks: What are you doing well, and what do you need to improve on. First, I have issues with the snacking in terms of food consumption. Snacking, particularly junk food, can make you fat! At Weight Watchers meeting, they teach you to think about the "snacks" you are going to pop into your mouth and make sure you aren't mindlessly consuming. I try not to mindlessly consume information on the web - and sometimes media snacking leads to bouncing and a feeling of not being able to see the forest through the trees. 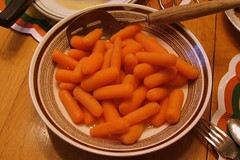 However, if you follow a stream in a strategic way - and stretch your synthesis muscle and pattern analysis skills - it can be like eating carrots instead of potato chips. That probably made no sense what so ever. I use Twitter to "dip" into the stream and while I am following a lot of people, I've developed an ear for the ones that give me the most valuable information and my attention is drawn towards them. I summarize the NPTECH tag stream -- and that really exercises your synthesis muscle. I try to go beyond read and summarize and push into new thinking - but that type of writing takes more than 140 characters. I probably publish too often, but I also notice that when I slack off, my subscriber numbers go down. Also, I suppose people can also just dip into what they want from this blog. I'm tagging Michelle Martin, Laura Whitehead, Elizabeth Dunn, and Elizabeth Perry. I'm forwarding an excerpt from a survey form one of my clients, Prospero Technologies (www.prospero.com), a provider of social media platforms for major brands (I mentioned them in a comment on your blog recently). There is not a focus on non-profits, but I thought you might find some bits of relevance to your audience. Comparing current tools in use or consideration to expectations for 2008, the following show an expected increase in interest in: Podcasts, Video blogs, Mobile video/image/text submission, Citizen Journalism, Micro-Blogging, and Virtual Worlds. The emphasis of the session was on how to find conversations online and respond to them. I like how Bryan and Doug framed using several social media tools (google alerts, tags, and rss) to find conversations. They also gave some great examples of the art of commenting (although I was a little embarrassed to see my blog on the screen and forgot to jot down notes - but the gist of what they were saying reminded me of Cool Cat Teacher Blog's "How To Comment Like a King and Queen." The room was filled with PR types - mostly doing pr on the corporate side - so the issues of whether or not the agency can speak on the corp's behalf on a blog. Also, the whole issue of "blogging policies" -- particularly an employee's personal blog. One person who was a former HR rep suggested that the best blogging policies were those written by the employees. A person next me started to laugh and asked him why. He said "We just let our employees blog." A Social Media Measurement Nonprofit Guinea Pig: Thanks Tim! Please add your thoughts! 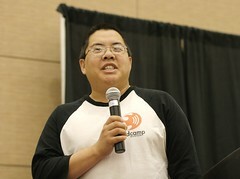 I'm doing a workshop on Social Media Metrics, Measurement, and ROI at PodCamp Boston tomorrow. This is work in progress. I'll be doing a presentation on a panel at the Museum Computer Network Conference in two weeks on this topic and in early 2008 for the Legal Services Corporation. I still feel like I haven't totally wrapped my brain around all this. When I blogged my preliminary thoughts and set up a wikispace, I was seeking a specific nonprofit example to make it more real. Tim Davies from the UK volunteered to be the guinea pig and test the thinking process (a logic model of sorts) for his newly launched web project that incorporates social media strategies. Kudos to you for setting clear goals and starting off with measurement from the beginning. You've done a terrific job in identifying benefits(outcomes) and some metrics - you might want to consider paring them down even further. What data matters most? You're almost there. I'd like to see how you are going to specifically look at success/change and metrics for your blog. You talk about aggregating content, but what about comments/conversation on the blog? I like how you are weaving together both number data and qualitative data and how you plan to collect stories. I think that's essential and it is a big point I'm making the presentation above. Tim also wrote a reflection and it is enormously helpful. I think your pyramid approach is spot on. You want to focus on the goals and outcomes (benefits) first - not the metrics. The definitions for metrics are "attributes that are important to understand" and measurement is the process of collecting data to determine a result. Maybe another way to think about it is measurement as data collection, but focused data collection. You only collect what you need to answer the question - have reached our result or intended outcome/benefit. 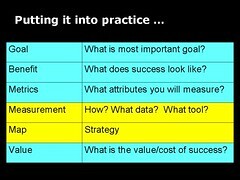 Good point on the "when to take measurement" - I'd put that in the "measurement" section and I would look at trend data - and not get too granular -- after all you don't have to spend all your time collecting data and if you collect too much it will make the analysis piece time consuming. And, it will make your brain hurt! You should read two articles that will help inform your thinking. Look at this one by Jeremiah Owyang, "From the Boardroom to the Drawing Room." And then go read Charlene Li's ROI of Blogging. See her chart specifically. It seems like your next step -- after you launch - is to do the ROI computation. Translates your results in a value, if you can and compute the ROI. Her example is a marketing example, of course, and business oriented. So it may get totally lost in translation to the nonprofit side of things. Any other guinea pigs out there that want to try this model? "A new UK initiative for web-enabled social innovation was born yesterday evening in the time honoured way: some inspiration from our friends in the US, mixed with beer and sandwiches in the upstairs room of a London pub." writes David Wilcox. 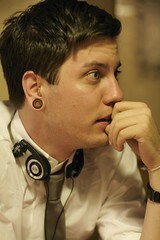 He captured the conversation with an interview with William Hoyle in the pub's kitchen. Via Stephen Downes "An old CBC video about this brand new thing called 'the Internet', now being used by 15 million people." I presented on a panel today for the California Association of Nonprofits "Building Stronger Nonprofits" Conference that is taking place in Los Angeles about nonprofits and second life. The panel was done both in the real world and in second life - so I didn't increase my carbon footprint by flying in from the East Coast. Most of the findings of the recent Network for Good report follow my experience with personal fundraising, especially the point "You can raise more than you think." I would add, "in a shorter amount of time." 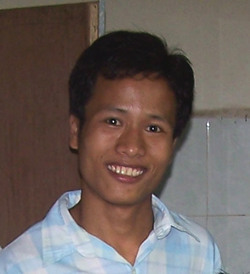 I thought it would take two weeks to raise the $1,000 to send Leng Sopharath, a young Cambodian woman, to college. It took less than 24 hours to do it, plus we went over goal. So, I extended the campaign so we could send another young student, Chanphearon, to college. In less than a week, we're 2/3 towards that goal! So, go donate and keep that smile on Schapheron's face. Then, think about the implications in this new report from Network For Good called The Wired Fundraiser by Katya Andresen and Stacie Mann. It starts with a profile of the two types of Wired Fundraisers. I definitely fall into the first category ... except for my age. These individuals know the power of personal fundraising offline. They are the types that call on friends to support their charity run or bike ride, knock on doors in the neighborhood to raise funds for a local community project, or hold a dinner party to solicit donations for a charity. This fundraising technique has been very successful because as the old saying goes, people give to people they know. These fundraisers, once they adopt Internet tools, are made more powerful. Tools like widgets and charity badges, combined with social media networks, enable these fundraisers to extend their reach and amplify their message. These fundraisers are passionate about their cause and this energy fuels the success of their cause. 2. Not Every Wired Fundraiser Is a Champion: The successful Wired Fundraiser has a relatively rare combination of true passion and a means to lend a sense of urgency to their cause. networks.” The superactivist can yield strong results. 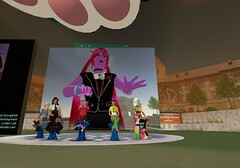 Every single one of the campaigns I've run, I've discovered that they surpassed the goal and that people beyond my original connection have donated. So, don't underestimate the power of a Wired Personal Fundraiser. For past day and half, I've been here in Mountain View at She's Geeky. It's unconference style, and very supportive atmosphere for women who work in technology and also want to encourage more women to get involved. That's the coffee cup from She's Geeky. Everyone got one and you wrote your name on it. 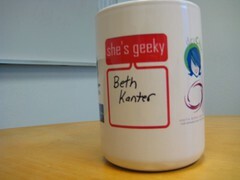 She's Geeky provided the structure or container, we all got to personalized what we giving to one another and what getting in return. I've learned so much, have met many women who I know and admire in the tech field as well as connecting with colleagues I already know. The participants from both the for-profit and non-profit sector - so lots of cross pollination of ideas and tons of support. Much praise goes to the organizing committee and particularly Kaliya. I facilitated a session on working in the nonprofit sector, with colleague Liz Perry, who is a sketch blogger and works an instructional technology specialist in a nonprofit school. Liz and I had incredible conversation about mobile blogging during the blogher unconference last July and I always found her to be one someone who with a great deal of wisdom. Two of my favorite bloghers who have worked in the nonprofit sector were also in the room, Liz Henry and her sister. (Liz, thank you for supporting the campaign to send Leng Sopharath to college - you rock!) I also finally got a change to meet Amy Jussel of Shaping Youth whose blog I've been reading for a while and enjoying. When I attend conference, I rarely get a chance to get self-fish and attend sessions or have conversations about professional development. This conference has been fantastic for me in providing that type of professional support. Yesterday, I took an inspiring speaker training workshop with Lura Dolas who uses acting techniques to help people improve their speaking and presentation skills. If I lived in the Bay Area, I would definitely work with her as coach. This morning I attended two sessions. The first was on Leadership co-facilitated by Susan Mernit, Adina Levin, and Liza Sabater. It was interesting to hear the common threads and difference on leadership for those who work in the corporate or organizational structures and those of us who are independents. 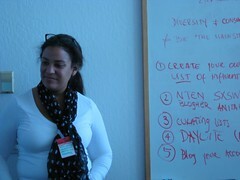 The next sesson was called Guerilla Tactics of a Diversity Advocate and lead by Liza. I found her ideas particularly relevant to my work and thank her sharing her secrets! Thank you so much Andrew! Complete mystery about how you heard about the campaign or why you decided to contribute, but I appreciate your support. He solved the mystery in a comment to the campaign post. Why respond to this as opposed to something else? Because some mutual friends told me about Beth, I read the blog regularly, and I love swarming for something good with people I don't know. My work is in professional progressive social change--and I am drawn to be part of this community as well. Allyson is now a friend on Facebook, but she wasn't before. I don't know exactly how she found out about campaign, so I hope she leave a comment in the post. I appreciate her contribution and that she reposted the pitch and video on her wall. I also liked how she used her status to tell her friends what she was doing. I also like the idea of a young woman helping another young woman from half-way around the world. I have been reading your blog for about the past year. I can't remember how exactly I found it, but I am a museum consultant (former actual museum employee working in the trenches) and have been spending much of my time for the past year or more researching ephilanthropy for the museum sector. I actually joined Facebook just recently specifically so I could check out the causes app and to see how else Facebook could and is being used to help nonprofits, but once here, discovered that several of my friends were also here! I'm also on Twitter, though I usually forget to sign in but I love your accounts of how Twitter has helped out in the middle of presentations! I do not know CyndyAE face-to-face, but I can see by her blog that she is someone who I should know. I'll put in my blog reader now. Thank you. I'd love to hear more about how we're connected. Are you a reader of my blog? From reading her blog, we have mutual interest in the nonprofit sector. But I am also amazed in looking at the Facebook profiles of donors that many people are not. What I am thinking about is that integrating social media is great for prospecting and finding new audiences. Read more about how Facebook, Twitter, Chris Brogan, and 52 other people including this donor helped Leng Sopharath get to college! I'm stunned .... The SXSW 2008 Panel initial results are in and the Pimp My Non Profit Panel made the list! The initial SXSW panel description is posted on the SXSW site. Ed Schipul, the official cat herder for the panel, has all the details. Rachel Weidinger, Strategy for Social Entrepreneurs and on Netsquared here. Michaela Hackner, Girl Next Door Productions and World Learning. I have met Rachel, Ed, and Erin through Netsquared face-to-face. I don't know Michaela face-to-face, but we know each other through our mutual connections in blogging, nonprofits, social media and Cambodia. I know I'll be blogging about this topic to flesh out my thoughts for next March, but Michaela had an idea that we develop our panel thoughts through a cross-blog conversation about the topic. Let's Send Chanphearom To College Too! If you read this blog, you know that I was raising money to send Leng Sopharath, a Cambodian orphan, to college for her junior year. The total cost was $1,000 and you responded, with the help of people like Chris Brogan. We surpassed the goal by $372 (as of this writing). So, together we've sponsored one third of his college costs for this year! So, why not go all the way? It would just take 60 people donating $10! If you were going to donate to the last campaign, but thought it was too late - here's another opportunity! Twitter, Facebook, Chris Brogan and 81 other people send Cambodian girl to college! If we go over goal 100%, we'll send a young man to college too! The Personal Fundraising Campaign Surpassed Its Goal Faster Than I Could Say Thank You! My fourth personal fundraising campaign was to support Leng Sopharath, an orphan from Cambodia, for her junior year at college. The money goes to the Sharing Foundation which manages the program. My family has sponsored her college costs for her freshman and sophomore years. Last year, I raised the money on my blog. But it took me three weeks. This campaign took 24 hours, with 50% of the goal coming in during the last two hours. So, it took 24 hours, 53 people donating small amounts to change a young woman's life. But don't take my word for it. Over the summer, I had an opportunity to meet her in person. In her dorm room, she had photos of our family and my letters to her on the wall. She spoke about how much our support makes a difference in her life. Let me explain. This might seem so 1980's, but I ran into Chris at a local social networking event last night for J. Owyang and I asked him to support my campaign in person. My goal was to ask online and offline for $10 gifts and hope that 100 people donate the $1,000 needed. I was initially doing it through Facebook and thought it would take three or four weeks. But close to the end of the first day, I was almost at 50% to goal. So, I sent Chris a Twitter campaign status message and he responded with a $10 gift. And almost literally before I could get a chance to thank him, he blogged it and tweeted it. When I launched the campaign, I thought it would take longer. So, I told my network that I would write a personal blog post thank you and put the first responders in my top friends on Facebook. I will personally acknowledge every one of you with a personal thank you blog post over the next couple of weeks and link it back here. I'm also doing an analysis of our social connection and present some of those numbers shortly as well as annedoctal reflections. UPDATE: Anything over the $1,000 will support the Sharing Foundation's general fund to provide scholarships for college students in the program who don't have individual sponsors. If we reach $2,000, we can send Champhearom to college too! A few of my donors are asking their friends via their blogs! Thank you Chris Brogan! No 12! 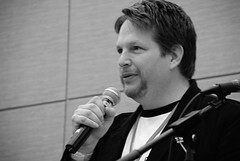 Thank you Chris Brogan. What would I do without a daily dose of your blog. It's in a folder in my reader called "Circle of the Wise," although I'm finding I'm less in my reader and following his posts via Twitter. I met Chris face-to-face at podcamp last year . He was the one who turned me onto Twitter a year ago. This might seem so 1980's, but I saw Chris at a local social networking event last night for J. Owyang and I asked him to support my campaign in person. Hey folks, personal fundraising solicitations still work! And you'll rarely get turned if you're asking for a small amount. Seriously, I am hoping that Chris will share this blog on his Facebook profile (he has slightly over 1,000 friends) and maybe he will tweet about it too. I'm making a connection to Endowment Campaign donor cultivation practices and having an internal debate about how you measure the influence of one's social network. I'll flesh out later. UPDATE: Wow, he's fast. He blogged it! Double Thanks! Let's Send Leng Sopharath to College and Change Her World! Contribute to my latest personal fundraising campaign to support Leng Sopharath, an orphan from Cambodia, for her junior year at college. My family has sponsored her college costs for her freshman and sophomore years. Coming up with the $1,000 donation to the Sharing Foundation which manages the program is a stretch. That's why I'm asking for my friends on Facebook and beyond to help. I'm more than half-way there and can make it with your contribution $10 or $25 or $100 or more (the more you give, the quicker I can get back to my regularly scheduled blogging on other topics and client work and write up my learnings) Please share this campaign with your friends, we can change her life forever! But don't take my word for it. Over the summer, I had an opportunity to meet her in person. In her dorm room, she had photos of our family and my letters to her on the wall. She spoke about how much our support makes a difference in her life. To make it more enticing, if you are among the first 30 to contribute, I'll add you as a top friend on my Facebook profile. (Only if the app works, your privacy settings don't prevent it, and of course, we're become friends.) All contributors will be graciously thanked on my blog. I'm, of course, experimenting with person-to-person fundraising on Facebook and I'll share my learnings here. Donate now. Spread the word! Share this link on your Facebook profile. Post this link on Twitter. Blog about it. Scream it from the roof tops!